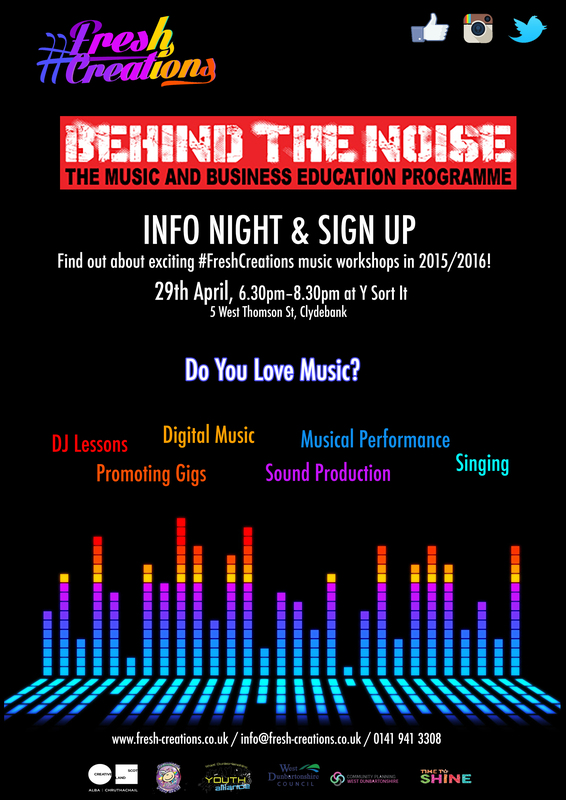 We are VERY pleased to announce that #FreshCreations is about to host musical workshops with one of our new creative partners Behind The Noise! We are hosting an Info Night for young people to find out about all the exciting musical opportunities we have available. They will also be given the opportunity to sign up. If you are interested in signing up, you NEED to attend the Info Night on the 29th April. On this night you can find out if this is the right programme for you by trying out some fun activities!